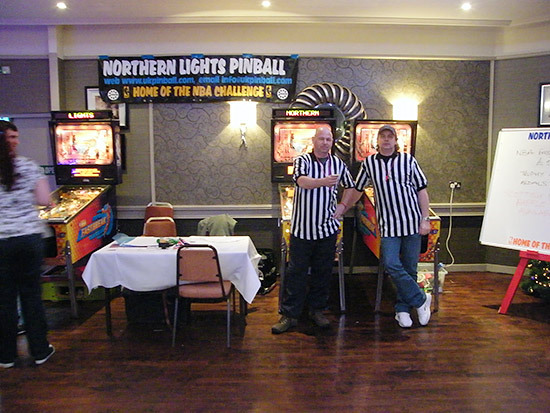 This year's event was held in North Lanarkshire, in a place called Kilsyth, near Glasgow. It is a small town that boasts a great bar and grill called Scarecrow Grill, where this writer had the best freshly-made steak pie he has ever had! 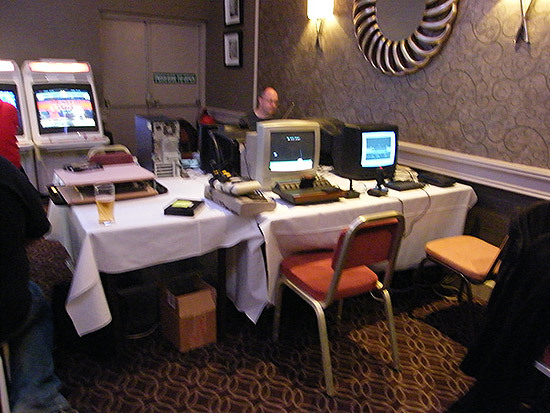 Due to an event at the venue on the Friday night, all set-up had to be done on Saturday. 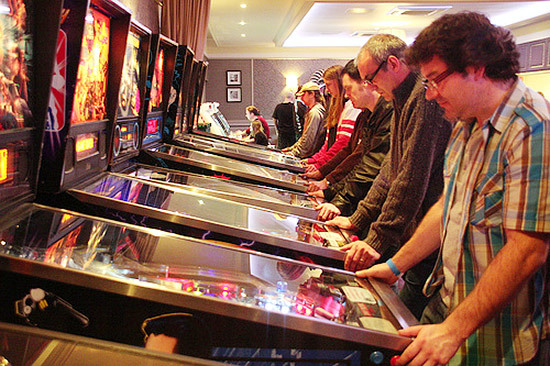 Early on Saturday, most of the video games were set up, with the majority of the pinballs set up a few hours before the show was scheduled to start, which was initially going to be at 11am. 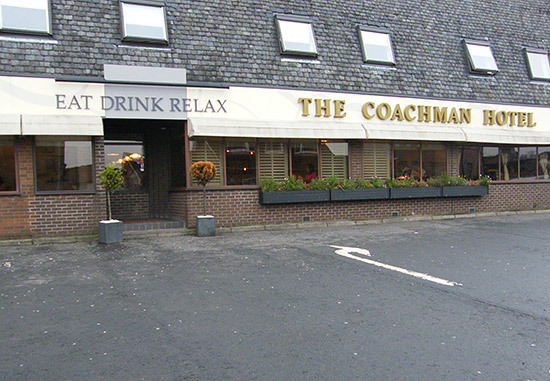 The opening was running a little late, but no one seemed to mind – as the Scottish are very laid-back people! Entrance was £10 per day. As you came through the entrance door and into the function room, immediately in front of you was the welcome desk. 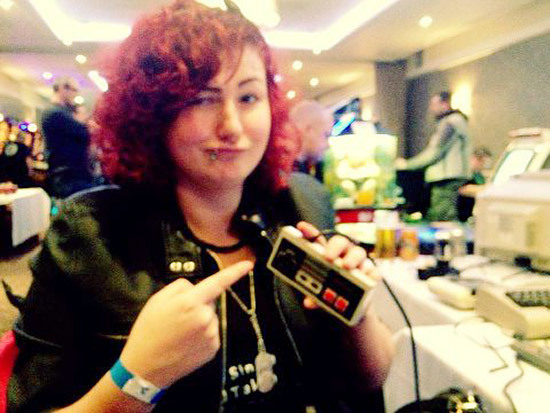 Just behind that were a few home consoles set up. 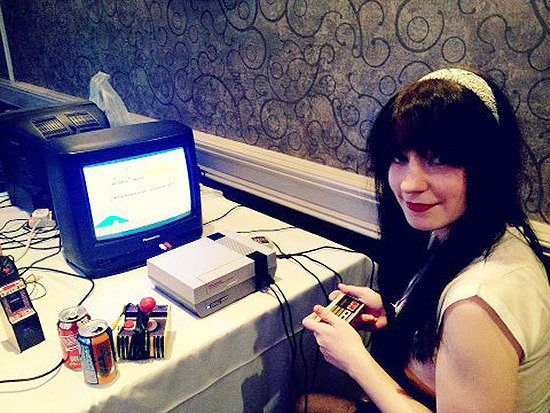 At different times different ones were set up, but they cycled between; Sega Megadrive, NES, SNES, PC Engine, Atari 2600, as well as a Commodore 64. 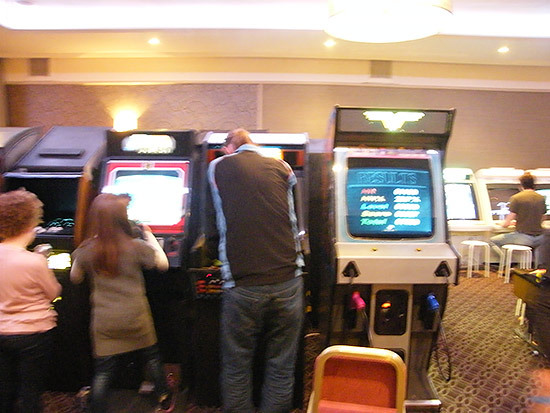 Next to them were two cocktail cabinet video games and a few rows of regular video games, including many old favourites such as; Great 100 Mile Rally, Asteroids, two original Missile Command games, Robotron, Centipede, a 4-player Vendetta game, and Outrun, to name but a few. There was also a row of games from Japan on the left, and another on the right, including one of my faves - Great 1000 Mile Rally. Plus, other greats like Asteroids and Missile Command. Also, the obligatory 'prize-every-time' game you would find in the arcades! 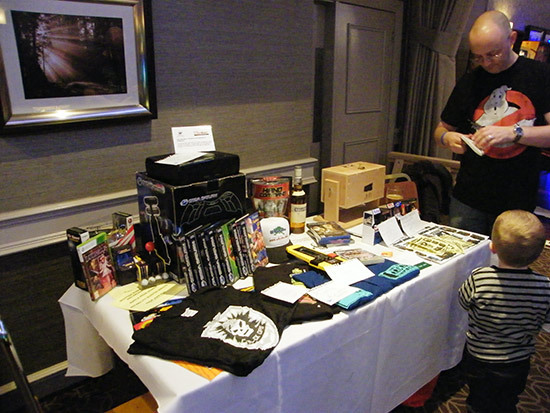 There was also a raffle running through the weekend. 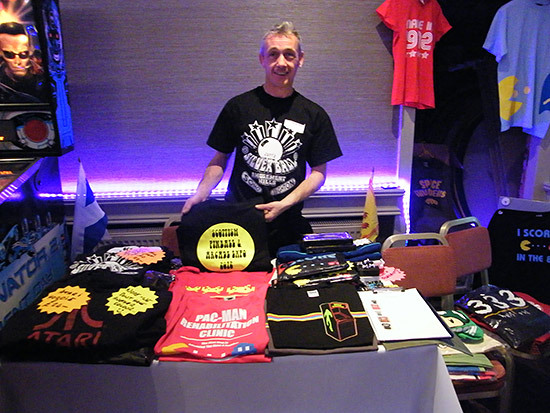 There was also a stall run by John Higgins selling show T-shirts and other arcade T-shirts/hoodies. John also helped sort the power out. 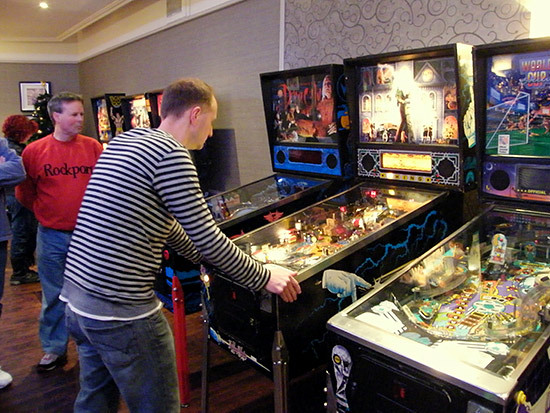 In the other half of the function room on the wooden floor, was the area where Pinball News readers would have been most at home – the pinball section. 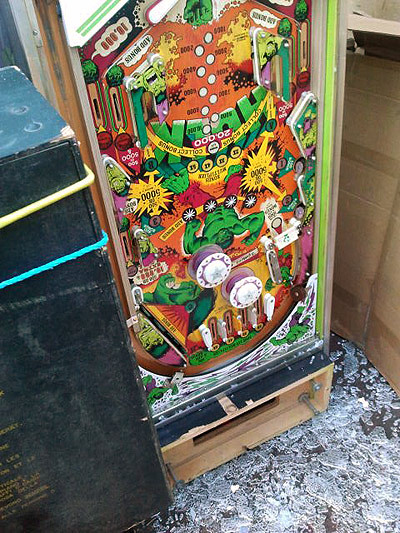 There would have been 20 pinball games, but sadly Gottlieb's Incredible Hulk had a fight with a van and came of worst when the support rail it was attached to in the van came off, and the pin - along with others - toppled over. It was out of the Scottish Open but thankfully not irreparable, and The Hulk will return to fight another day! 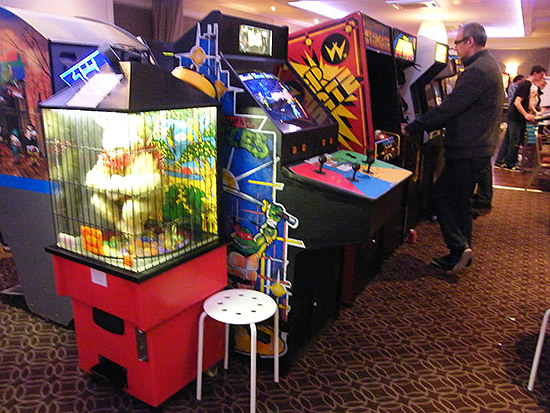 As with most shows, occasionally a machine went wrong, but it was soon patched up and most of the time all the games were working. 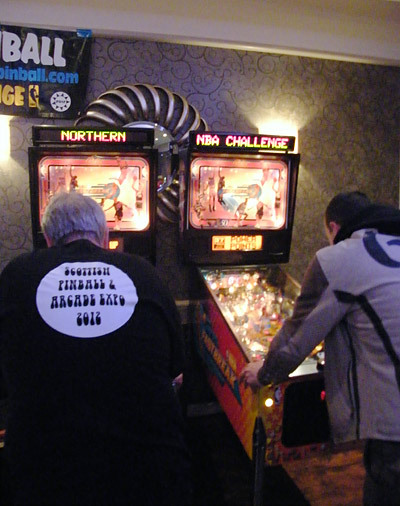 Over the weekend there were two scheduled pinball tournaments. 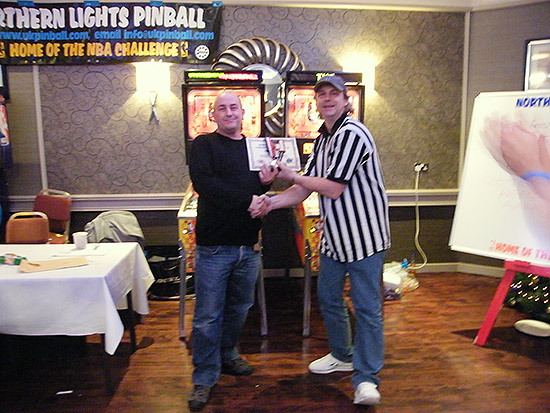 On the Saturday only, there was the Pinball Mania NBA Challenge. 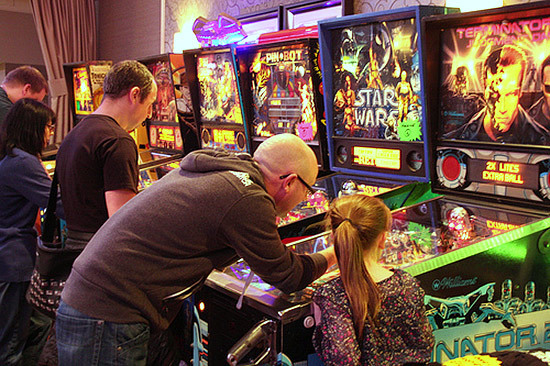 Whilst it can obviously be competitive, it is also designed to be fun, with two 'referees' and a coin toss to decide who plays on which machine. The winner of the toss got to choose. This was a tournament with players in four 'leagues' of five proper NBA teams, where they play every other person in their league once on the linked NBA Fastbreak games. In this instance, the top player in each league went through to the next round of play-offs. Neil and Steve both won, so they were in the final. But first, the 3rd place play-off was played between Matt Vince and James Watson, where Matt was victorious to earn himself his bronze medal and certificate. 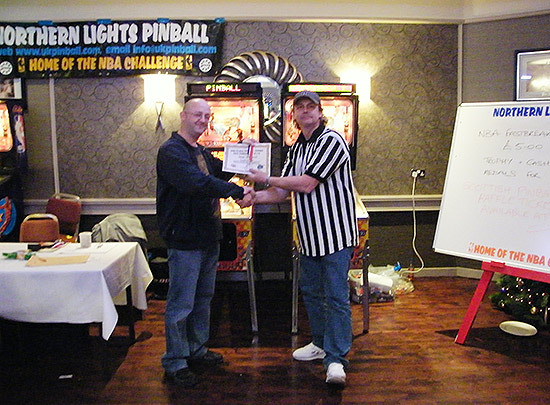 ...with Neil going home with the trophy, gold medal, certificate and the winners cash. 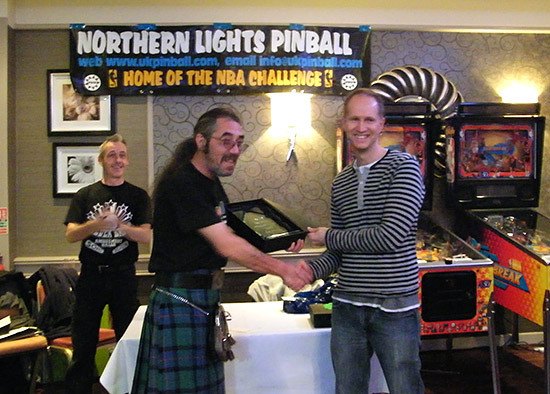 The second tournament was the Scottish Pinball Open, which has World Pinball Player Ranking points up for grabs and was free to enter. This was held over two days, with qualifying on the Saturday and the play-offs and finals on Sunday afternoon. Qualifying was from 5pm until 8pm and played on four of the six available games, with the players deciding which four they would play. Sadly it was found during the tournament that Fortune couldn’t make it’s mind up how many balls it would give per game - sometimes it would give 3 balls, other times 4 or 5 balls, depending on how it felt - so it was removed from the scoring calculations and we were down to the 5 games for the qualifying calculations. So there were just two locals from Scotland in the last 8. 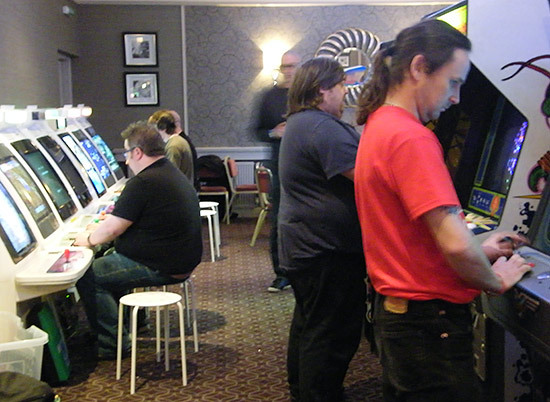 And we were left with a four player final on the Sunday consisting of – Carl Spiby, Greg Mott, James Watson and Paul Owen. 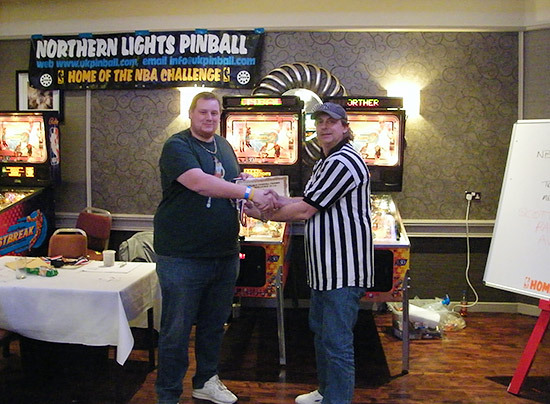 In a close-fought 5-ball final played on The Addams Family just after 2pm, Greg Mott managed to beat Paul Owen, who sadly had a terrible last ball, to leave Greg the Scottish Pinball Open Champion of 2012. 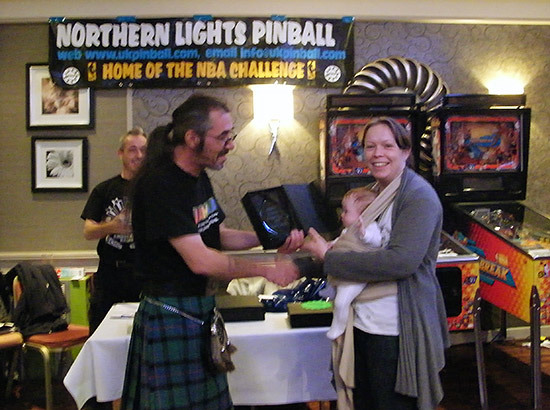 There was also an award to the best female player, who was Sarah Jarrett. 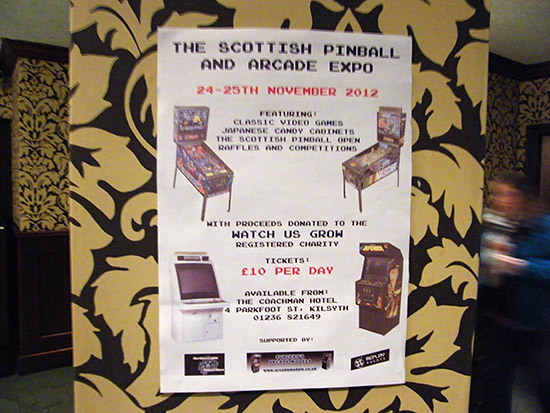 Let’s hope the event is on next year, as the Scottish guys 'n gals made us feel right at home. I am sure this event will only get bigger, and will hopefully be supported by more machines and people next year. Many thanks to Chris for his article. 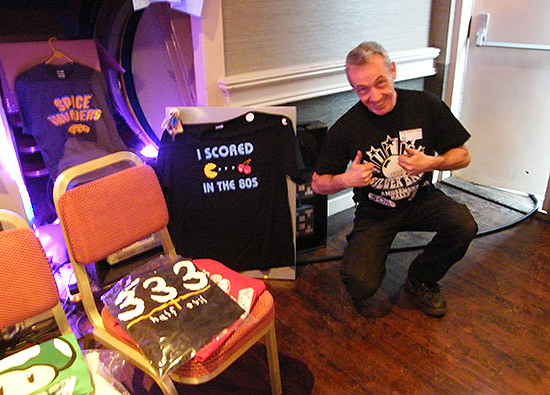 In addition, we have a video taken at the venue and sent to us by John Higgins.